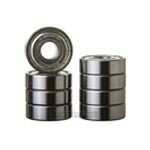 We carry a wide variety of wheels and bearings for aggressive inline skates, recreational skates, or powerblading skates. Aggressive skates typically use a 54-72mm wheel in size. 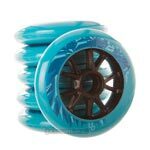 Recreational/Freeskates/Powerblades use around 72-125mm wheels. 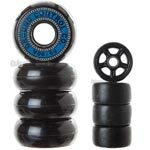 We also have a variety of anti-rockers for aggressive inline skates, they vary in size from 40-48mm. If you have any questions please use the Contact Us tab above for help.